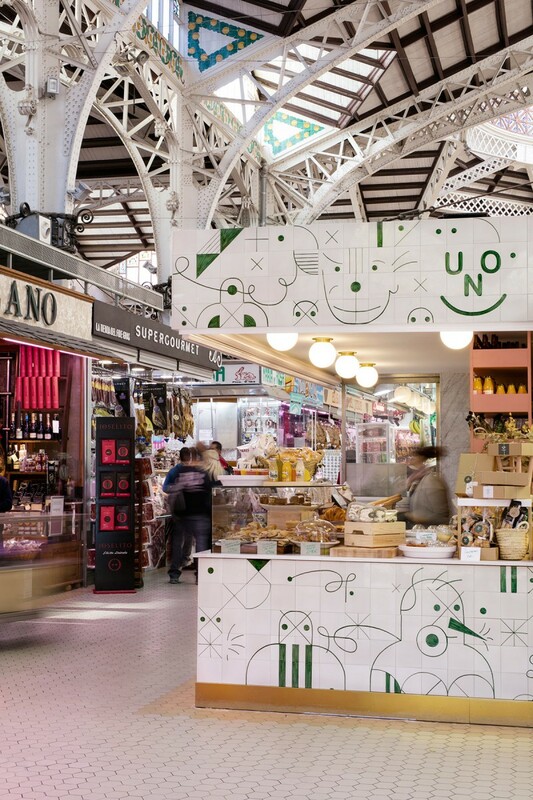 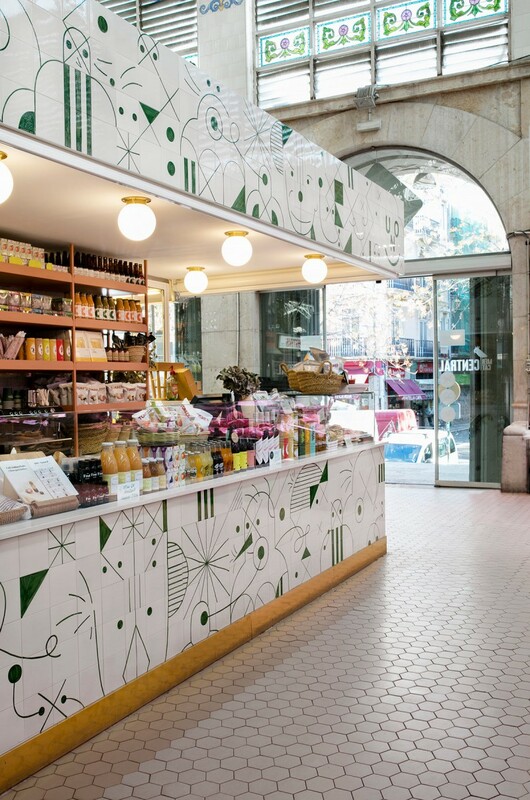 Uno is a stand specializing in gourmet food products in the Central Market, one of the most beautiful locations in Valencia. 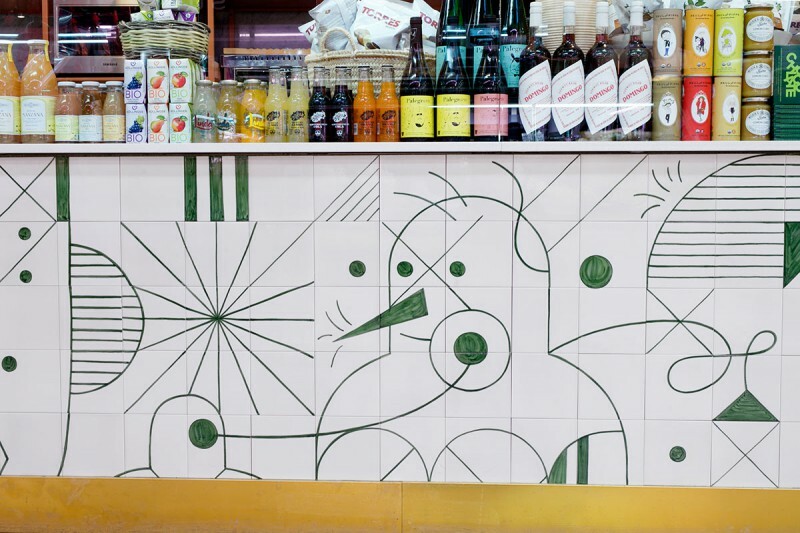 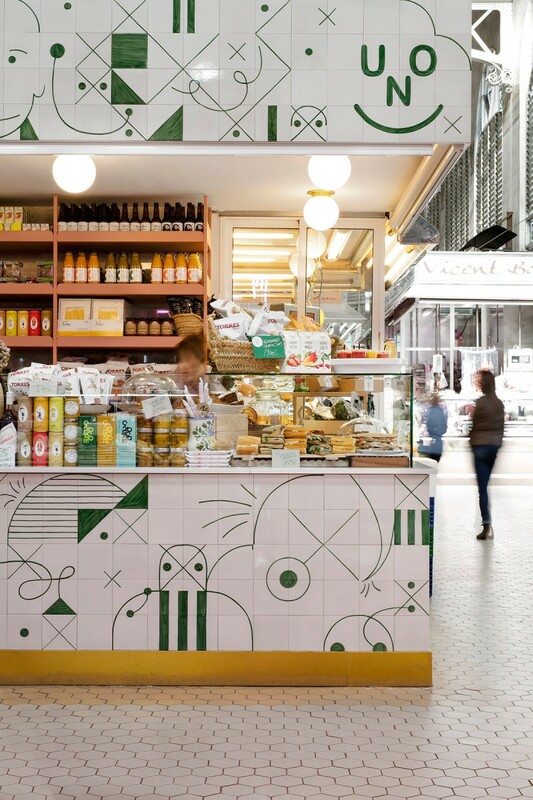 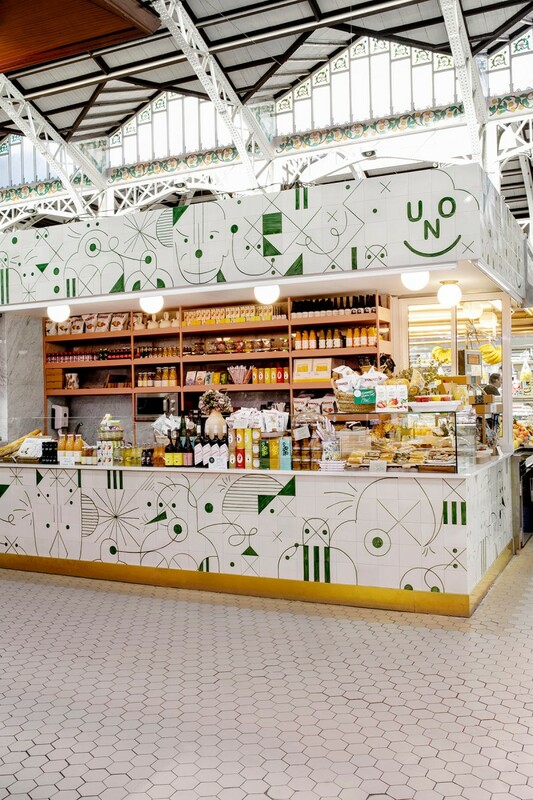 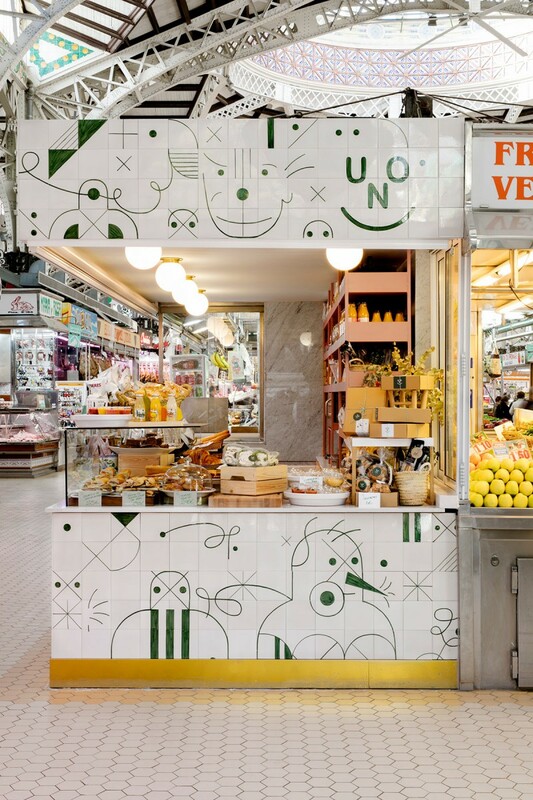 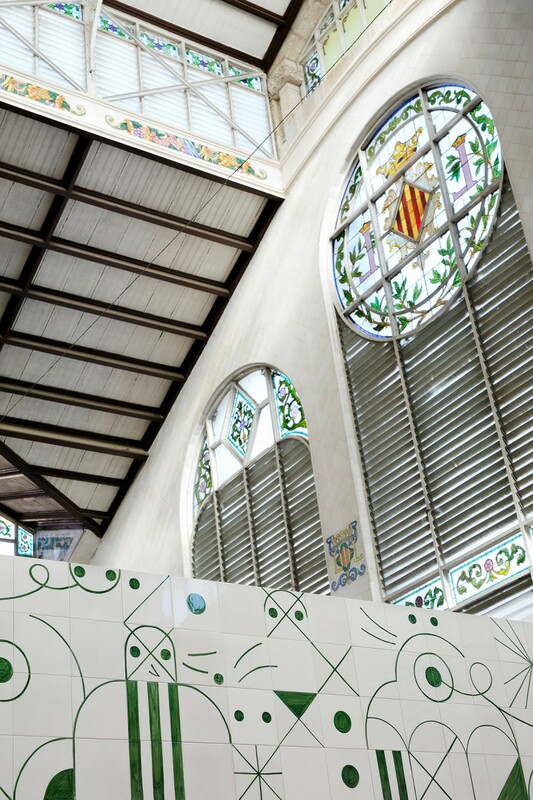 Decorated with artisanal ceramic tiles, hand painted and manufactured in Manises, Uno is small but powerful statement in an iconic Valencia destination. 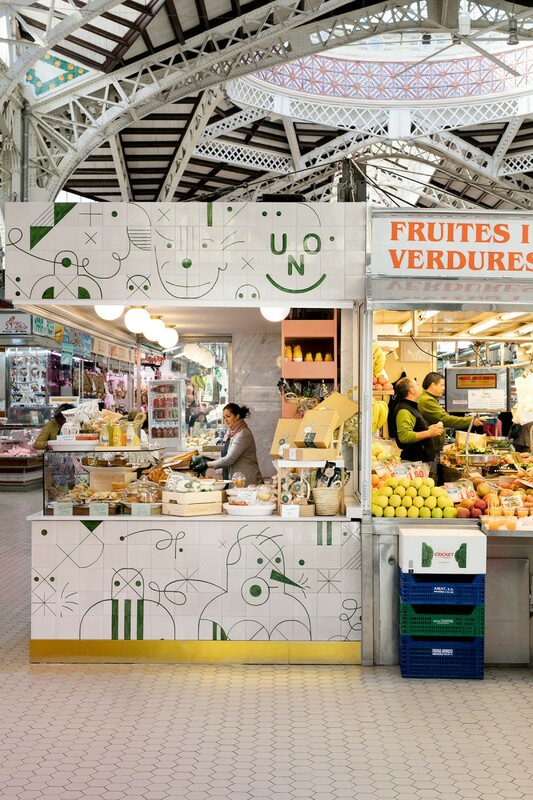 Plaza del Mercado , Valencia, Spain.